The Rebel Sweetheart. : Top Tips to Help your Home Reflect your Style. If like me, you feel your home could do with a bit of a makeover, one of the first things you need to think about is what style you’d like to go with. Ideally, you should choose a home décor theme that matches your own personal style. This is what makes your home unique to you. Creating more personalized décor will help you to relax more after a long hard day. However, it’s not always easy figuring out what your personal style is. I, for one, had a lot of trouble identifying what my personal home décor style was. If you’re struggling to identify yours then the ideas below will help. If you’re a country girl at heart, your main goal should be to focus on warm colours. Browns, reds and blue are all great colour palettes for a country style home. My particular favourite part of a country theme is the heavy wooden style. Wooden furniture and exposed beams often play a large part in country homes. If you are aiming to decorate your home in a country style, you may want to consider sash window refurbishment. The windows of older style homes tend to be slightly different to newer homes so a refurbishment can help to bring them up to date. If your personal style is slightly out there, you’ll find it quite easy to decorate your home. My own personal favourite style is eclectic. To achieve this look you basically choose furniture and accessories that you really like that don’t necessarily go with anything else in the room. They also tend to stand out quite a lot too with bold, unusual patterns. 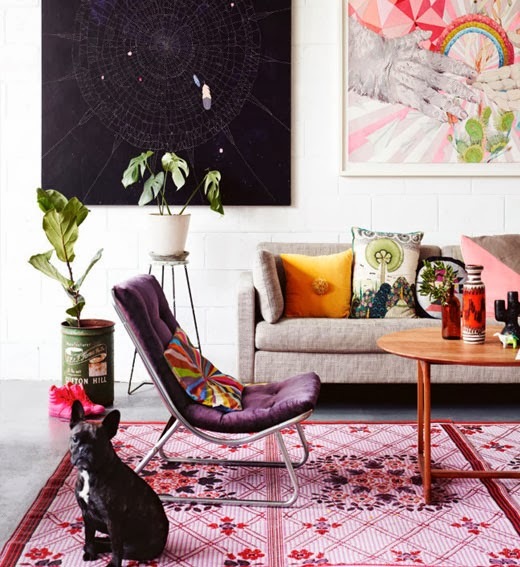 If you’re a lover of art, you don’t need to spend a fortune on your home makeover. It’s possible to find artsy accessories and furniture at local markets. The flea market in Camden, London is a particularly great place to shop for antique style furniture on a budget. Yin Yang Furniture by Kenneth Cobonpue. These are three of the top styles that people aim for. It’s important to identify your style before you start your home décor project. Super tips--- although I'm more eclectic then my house show because my Hubby is happiest with white walls one light and black couch and NOTHING else. So we have to meet in the happy boring middle. My favorite style is Shabby Chic but with an 8-year-old, a dog that sheds constantly, and a cat that sheds, I avoid that color scheme. I will be honest- my home currently doesn't reflect ANY style. Even the master bedroom seems to be a mish-mosh of styles. But I ave to say that the country girl at heart room makes me want to redo all of my furniture so it can look like that! Beautiful! This is great! It is so true! I am a country girl at heart and love warm colors! I am not sure what my real style is, but since I live in an old victorian, we let that guide us. I saw this on Twitter and came to take a look. The wood in the country look is nice! nice tips! I think i'll bookmark this for future reference for my house. I'd go for a country style home, so warm and cozy, and I love wooden furniture, too!